Vietnam took top position in the Southeast Asian Vovinam (Vietnamese traditional martial art) Championship on January 16 in Seam Reap, Cambodia. 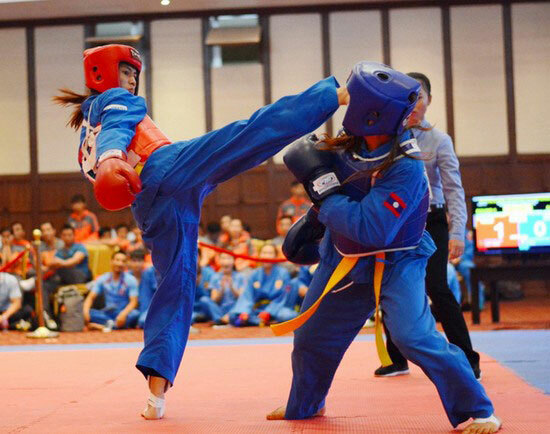 The Vietnamese martial artists earned 12 gold, 13 silver and one bronze medals at the fourth championship, which began on January 9. The hosts came in second place with nine titles. Laos stood in third, winning four gold medals. The tournament lured participants from seven countries in the region. They competed for 27 sets of medals in nine categories, as well as 18 medals awarded for performance./.